Super Eagles of Nigeria right- fullback Tyronne Ebuehi may be out for a long period of time on the sidelines after suffering a serious knee injury during Benfica’s International Champions Cup defeat to Juventus on Saturday. The 22-year old Nigerian international who joined the Portuguese giants from ADO Den Haag in June came on to replace André Almeida in the 67th minute of the encounter which Benfica later lost 4-2 on penalties to the Italian heavyweight at the Red Bull Arena after fulltime scores stood at 1-1. Benfica who finished in runners-up position behind Porto in the Primeira Liga last season has now confirmed that the right-back will go under the knife to repair the damage. It is possible that more tests will be required before a timescale for Ebuehi’s recovery will be disclosed, but his injury will be a big blow to Rui Vitoria’s team, who are due to face Fenerbahce on August 7 in the Uefa Champions League. 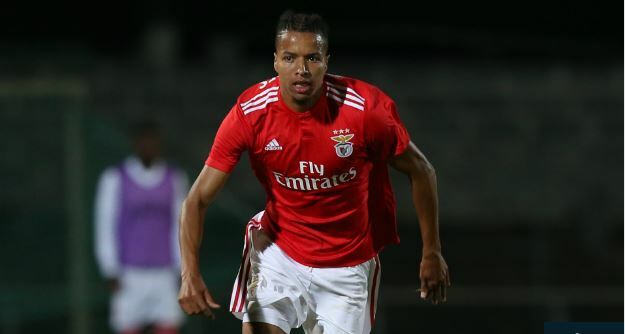 Before his injury, Ebuehi had featured in Benfica’s 4-3 penalty triumph over Borussia Dortmund in the International Champions Cup clash on July 26 at Heinz Field.